EPAM Systems is one of the largest developers of (custom) project software and one of the leading players in the field of IT consulting in central and eastern Europe. The company, founded in 1993, employs more than 5,500 specialists and implements projects in more than 30 countries. Company branch offices are located in Russia, Ukraine, Belarus, Kazakhstan, the United States, Hungary, the United Kingdom, Germany, Sweden and Switzerland. EPAM Systems’ primary business activities include: software development, testing, maintenance and support of custom software and business applications; the creation of dedicated software development centers (competence centers), as well as IT consulting. Just over a year ago, EPAM Systems’ IT department concluded that it was time to use equipment that would ensure reliable and secure remote access to servers in the data center via an IP-based network. This solution should also offer capabilities to install software from connected media or drives from the user’s remote workstation. 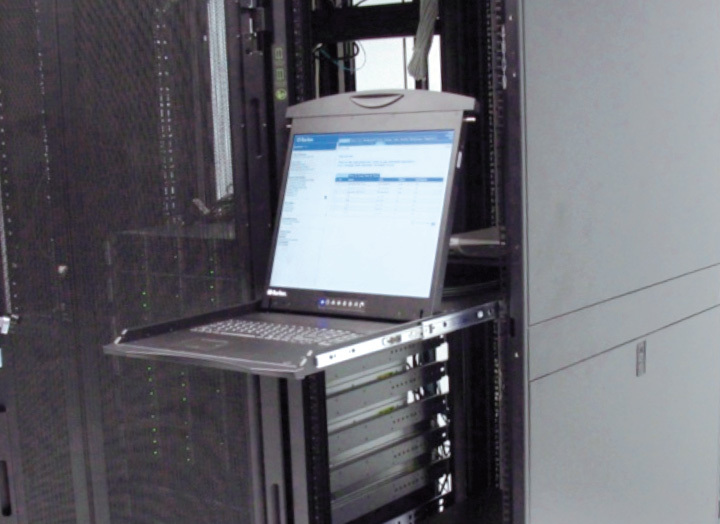 “We had used KVM switches with KVM-over-IP technology from another KVM switch vendor. However, that solution did not meet our security requirements and failed to provide data transfer and software installation from the user’s media during a KVM session. That was very important to us,” says Aliaksei Marchuk, System Administrator at EPAM Systems’ IT department. “We reviewed the existing KVM solutions in the market. Raritan provided us with demo access to servers connected to their Dominion KX II KVM-over-IP switch. This testing equipment, installed at a distance of more than 2000 kilometers away, allowed us to assess the capabilities of this equipment, which fully satisfied us. The price level of the proposed solution turned out to be acceptable as well,” notes Marchuk. The IT department of EPAM systems was guided by five criteria that needed to be met by whatever solution they chose. The main criterion was KVM-over-IP technology. Today, most manufacturers of KVM switches offer a product line for this type of technology, but only Raritan could provide the highest quality video, including channels with low bandwidth availability. The system also needed to provide for the exchange of data and software installation from user media during a KVM session. This technology – called virtual media – is in the Dominion KX II series. The solution also needed very fast and accurate mouse synchronization. The Dominion KX II with its integrated technology, Absolute Mouse SynchronizationTM, completely fulfilled this need. Finally, EPAM Systems required high reliability and security. The reliability of Dominion KX II is ensured by its dual power supplies and gigabit Ethernet ports available on all Dominion KX II models. A wide range of security settings, encryption of all data including video, and configurable TCP/IP ports enable the Dominion KX II to support the highest level of security. The Raritan solution enables EPAM’s IT staff to save time and physically reduce server downtime in the event of problems. For example, going to the data center to reboot a server with a problem is no longer required. The noise of the servers and industrial air conditioners, which maintain indoor temperature at 18° C, makes actually working in the data center uncomfortable. With the Dominion KX II, installing software on a server or multiple servers located in their data center can now be done remotely. Plus, the Dominion KX II provides local access to their servers using LCD consoles located close to each KVM switch in the same cabinet. Located in a remote office at a distance of more than 10 kilometers from the data center, the IT department of EPAM Systems will be able, if necessary, to gain access to servers in data centers, as well as download the necessary data from the server to the local media or drive. Opportunities for improving the IT staff’s efficiency and ensuring reliable and secure access, led to the installation of Raritan’s Dominion KX II KVM switches in EPAM Systems’ office in the U.S. Using these switches, EPAM Systems’ branch office in Belarus assessed all of these benefits and decided to expand further with Raritan. The largest service provider in the field of software development needed to ensure prompt, secure and reliable access to servers in the data center with the ability to remotely install software from connected drives and media while users are sitting at their desks. Dominion® KX II KVM-over-IP switches with virtual media support, security and redundancy features. The EPAM Systems IT department has significantly increased productivity and reduced downtime of their servers. 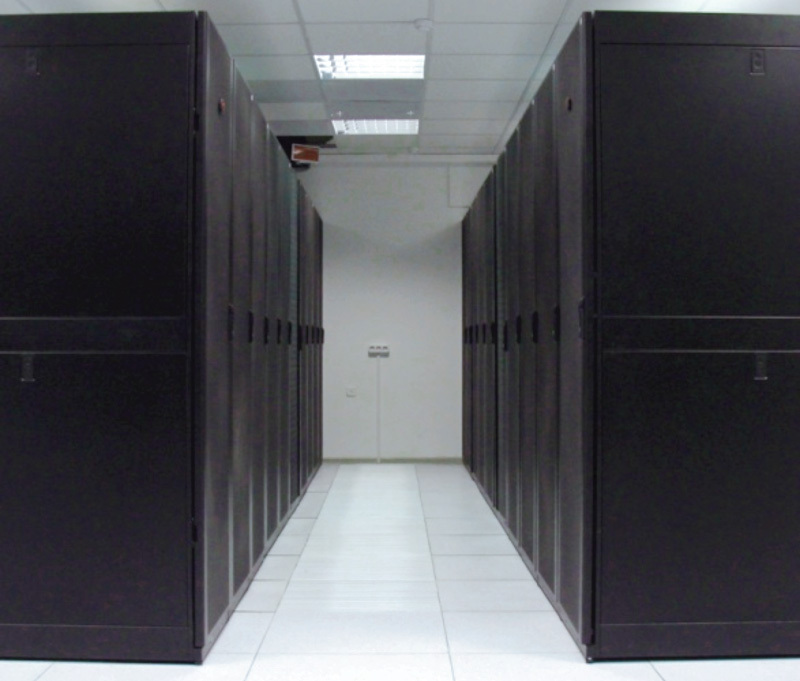 Reducing the number of cables in their data center racks has helped to improve air circulation within the data center.